Welcome back to the final part in the “Polaroid shooting Tips’n Tricks” series! This time, I’m going to explain different things that you can do to protect your image after taking it. In case you haven’t read the previous posts in the series, make sure to check those out as they include tips on choosing the right camera & film combo as well as setting things up to achieve a great looking photograph. …what happens after pressing the shutter? The camera uses its “electric eye” (a photoresistor) to determine the required exposure values (folding SX-70 cams seem to do this differently). BTW, if you used the adjustment slider / wheel on your camera, the neutral density filter in front of the electric eye will have moved to fool the electronic eye into thinking the scene is brighter or darker than it actually is. The aperture and focus (AF models) get set and the shutter opens. If applicable, the camera’s flash will fire. When the required time has elapsed, the shutter closes and the camera ejects the image. After the image has been ejected (under the frog tongue for the 660 AF or under the darkslide for the SX-70 AF), I immediately put the image into the film box. Then, I usually wait for the entire development time until I take it back out and have a look. If you’re looking to apply some creative techniques to modify the image, here’s a quick run-down of things you can try while the image is still developing. Note that any interference with the development process could damage the image and destroy it. I am not liable for anything you do to your images! Bending the image will make tree-like shapes appear, starting at the edge of the image and spreading towards the inside. Occasionally, bright spots may appear as a result of bending and/or improper shielding. Take this image by Zaitomeito via the Impossible Gallery as an example. Sorry, I messed up while scanning, so the left bezel is cut off. I’ll rescan and reupload this image once I publish all images from its series! Lastly, pushing on the image area to move the chemical components around can be done after the first five minutes. I haven’t done that yet, though, so I can’t tell you if that works or anything. If you’ve done that before, please tell everyone in the comments! I’m highly interested in your results and I’m going to try it for myself when there’s a good opportunity to do so. Again, doing any of the following might lead to the image getting partially or completely destroyed. I am not liable for what you do to your images! Painting on the image with a suitable pen is the most basic modification you can make. Use this to name things or highlight shapes for a comic effect. You could even use (suitable) non-permanent markers to make a temporary annotation or for testing things out. Cutting away the frame either partially or entirely is usually done in the process of transferring the image to a different frame or medium (as detailed below). The image may fade more quickly if outside its original frame. Doing an “Emulsion Lift” is quite popular among instant film artists. In a nutshell, you take the visible image out of the original frame, which gives you a super-thin transparent foil contatining the image! You can then stick this foil onto (mostly) any new medium, ranging from a piece of watercolor paper or even glass! To learn more about Emulsion Lifts, you can check out this video that explains how you can do it yourself. To avoid alterations in color or fading of your photos, store them in an airtight container with silica gel packs for 1 to 2 months. We recommend using the Dry Age Kit for this task. This procedure will ensure that your photos get completely dried abd will not change in color or contrast over time. Find out more at the-impossible-project.com/dryage. Personally, I haven’t archived any Polaroid photos like that, most end up in their original film box or are on display on the wall. The ones on the wall change colors / fade quite quickly, but the fading has made many images better, so that’s ok. Here’s an example: both photos have been taken on the same day and hung up on the wall since about 4 months at identical conditions. The right one clearly wanted to be a color picture when it grows up. I love the color effect and the spots! Sssht! She’s been working all day to get where she is now! Will be properly scanned once I upload the entire batch! Beautifully faded photograph of a likewise fading advertisement for car tyres. Includes VW van for completeness 😉 Will be properly scanned once I upload the entire batch! That’s it for this series! 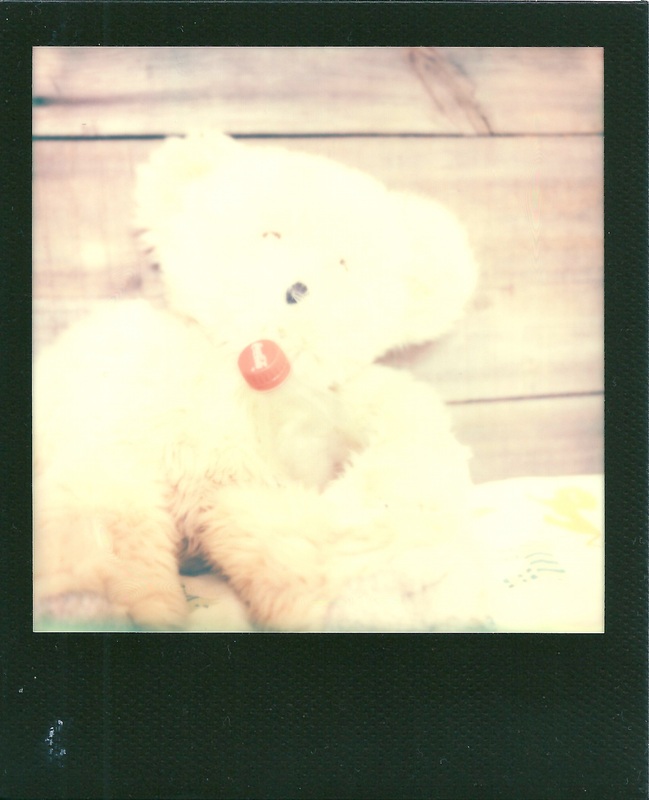 I’m eventually going to make an all-in-one-post containing all of these Polaroid tips and tricks, but I’m not sure in what format (this one alone has >900 words excluding the intro & ending!!)! So stay tuned for that in the not-so-near future, I guess :P.
Questions? Comments? Feedback? Please add your remarks in the comments section below! Thanks!